He taught us how to scribble smoke coming out of chimneys, and how to draw tyres spinning on speeding cars. And now he’s teaching us how to rock out, with his guitar shredding riffs. 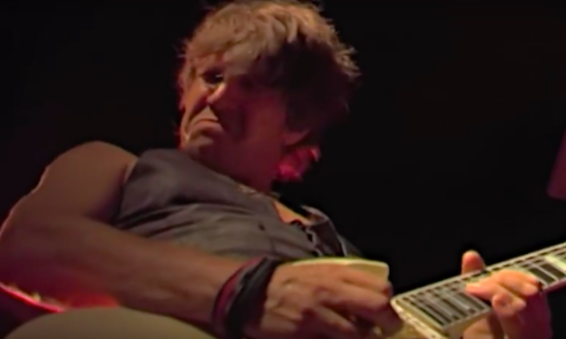 Good luck sketching those strings under Neil Buchanan’s savage fingers. 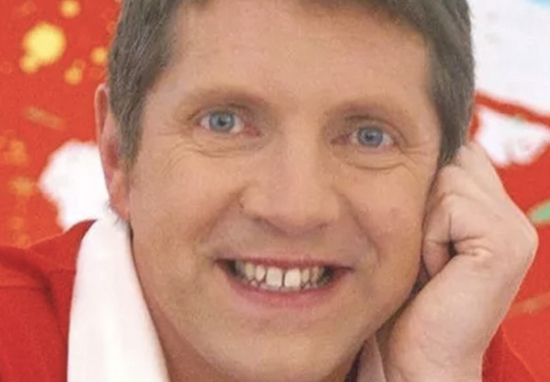 Those who grew up with Art Attack may find it hard to believe, but the seemingly mild mannered host is as deft with heavy metal music as he is with children’s crafts. After a musical hiatus which lasted three long decades, Neil has now returned to his edgier roots; playing lead guitar in his old heavy metal band Marseille. Do you remember straw painting that Neil Buchanan was all over on Art attack? Formed way back in 1976, Marseille launched their debut album, Red, White and Slightly Blue in 1978. They were the very first winners of pre-X-factor days talent show UK Battle of the Bands, and were judged by Queen legends Brian May and Roger Taylor. 56-year-old Neil was one of the original members, tearing up the stage like bits of scrap paper alongside vocalist Paul Dale, second guitarist Andy Charters, drummer Keith Knowles and bass player Steve Dinwoodie. Good evening madam, my name is Percival. Well, I’ve done all the actresses and lady politicians and all the famous wed ma’am of the upper crust. Well all a lady psychiatrist then came to me for treatment and it wasn’t God who save the queen. Neil quit the band in 1980, but made his glorious return in 2008. He has been rocking away throughout the last decade, unbeknown to his legion of straw painting fans. Marseille’s hell raising blitz on the USA came to an untimely halt when their record and management company (Mountain) imploded. One minute Marseille were storming their way to US stardom and the next minute, they were in the dark depths of a two year long legal battle in which they lost everything – including all their instruments and equipment….and the momentum they had built. After 25 years and 5 divorces….the gang are BACK with a new album called Unfinished Business officialy released in September 2010 with a full UK tour in the Autumn. Art Attack just couldn’t tame this wild beast. Neil may have been an innocent part of our childhoods, but I imagine it won’t be long before he’s necking PVA glue and throwing paintbrushes from hotel balconies.